This is open most weekday mornings, 10am - 1pm, including Coffee mornings on Thursday and Saturday, for the sale of Christian books and greeting cards. We are able to order and obtain single items often within the week. Bulk orders for church organisations are handled safely and promptly. Cards for all occasions. Come and see for yourself! 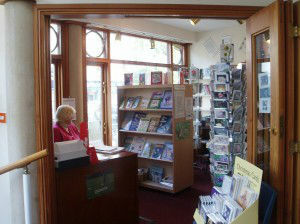 We welcome everyone to visit and inspect our ranges of cards, books and texts. Browse before selecting just the cards or books you need. Take the opportunity to select high quality merchandise of Christian design and value.